The Tisbury Shellfish Department will sponsor the third annual Family Shellfish Day in the area of Lagoon Pond behind Wind's Up. Courtesy Nelson Sigelman. A fun afternoon open to the public. Learn how easy it is to rake up clams. Have you ever wanted to harvest your own quahogs but didn’t know where to start? Do you know how long it takes to grow a quahog? How is a steamer different from a quahog? 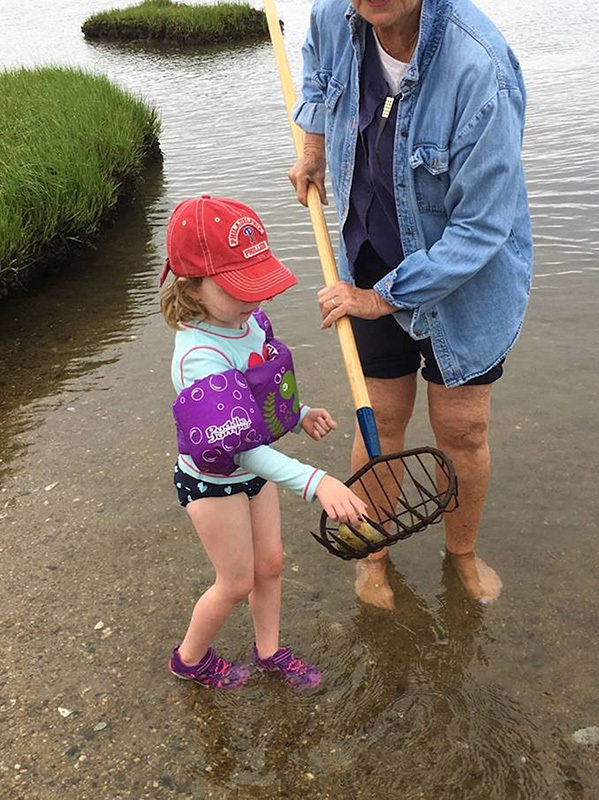 On Saturday, June 16, from 9 am to noon, the Tisbury Shellfish Department will sponsor the third annual Family Shellfish Day in the area of Lagoon Pond behind Wind’s Up. Participants will be able to learn the finer points of raking up legal sized quahogs for dinner, how to distinguish between a little neck, a cherrystone and chowder — size matters — and how to shuck a clam. This is an opportunity to explore Lagoon Pond and learn what the town is doing to manage its natural resources. Members of the shellfish department, shellfish advisory committee and working shellfishermen will be available to help and answer questions. No shellfishing license is necessary. However, you must pre-register. Children must be accompanied by an adult. Please wear appropriate clothing for wading in the water and being exposed to the sun (bring sunblock). Parking is available at the Lagoon Pond landing. The rain date is Sunday, June 23, noon to 3 pm. For questions or to pre-register please call or email Tisbury Shellfish Constable Danielle Ewart at 774-563-1279 or DEWART@tisburyma.gov.